While many of us wait for what we hope is a worthy spiritual successor to Mega Man in the form of Mighty No. 9, developer Batterystaple Games has taken it upon itself to go ahead and just create its own game. With blackjack! And hoo- ok; maybe none of that, but it does have co-op! 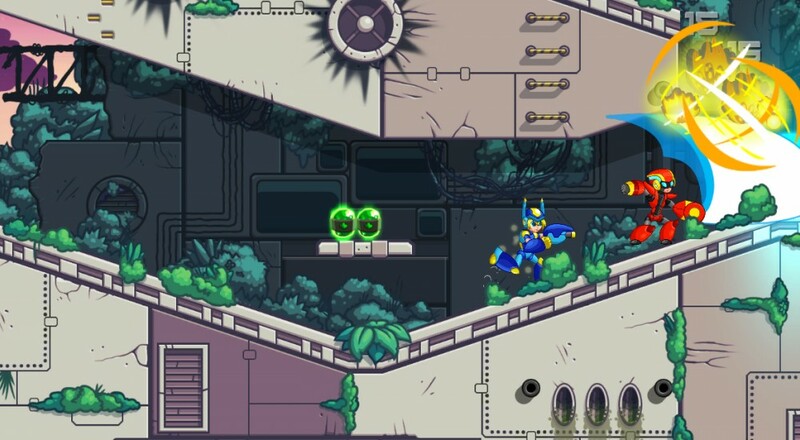 The game is called 20XX and is available on Steam Early Access. The game has been in development since 2013 and draws strongly from the Mega Man X series of games. You play as a spunky little robot with an arm cannon that makes her way through procedurally generated levels to fight the boss bot at the end. The biggest difference is that the powerups you'll pick up along the way are random as the title has some "rogue lite" elements to it. The other big difference? You can do all of this with a friend. The game enters beta next Tuesday, September 15, and is available via Steam at a discount price of $11.99. Page created in 0.8426 seconds.